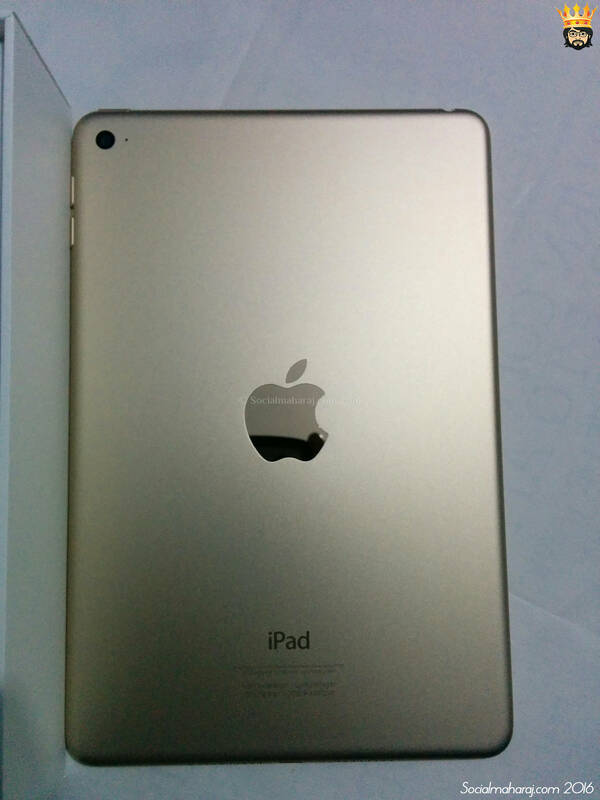 Exactly 3 years ago, I had a new member in my gadget family and it was the then sensation – the iPad Mini. [Read Here: Latest Entrant to my gadget family] iPad Mini was the first tablet from Apple that was in a smaller form factor – 7.9 inches – rather than the ‘regular‘ 10 inches one also not to forget the price tag it came with, probably the cheapest one. I remember it was around this time that I had got my examination results and thus the new iPad. And since then, I’ve truly enjoyed every bit of it. Being an avid traveler the iPad Mini became my camera too – well yes, I take photos from a tablet ! Writing posts for my blogs was one of the main uses of the iPad Mini apart from the usual web browsing, listening to music, watching movies and the occasional game play. But as all of us are aware the exponential rate at which technology is growing, it’s understood that these gadgets life is getting shorter with every passing second. Same is the story with my iPad Mini. Applications becoming heavy with loads of graphics, all this with an ageing processor and a mere 512 RAM, an upgrade was a must. And the iPad mini 4 was the obvious choice for me. Luckily I got it on the same date on which I had purchased in the original iPad Mini. So here’s welcoming the new iPad Mini 4 to my gadget family. Nonetheless, I can very well see the speed difference between the two tablets. The iPad Mini 4 is swift and is quick to respond thanks to the powerhouse underneath it. Plus with the latest version of the iOS 9.0, I got the Split View feature too which is definitely a boon for a blogger like me. Doing work side-by-side wasn’t possible on the older model. The Split view works like a charm. Researching online at one hand and writing a blog at the other, just what was needed ! Switch between the apps is much smoother now and quick. Further with the inbuilt finger print sensor, the Touch ID feature takes the entire experience to the next level. No more entering pass-codes to unlock the iPad or download an app from the App Store. Another major improvement that iPad Mini 4 brings is louder speakers. With only one speaker at the bottom, the sound experience was always a damper when you showed your friends a video where people could barely hear anything. But with the iPad Mini 4, the sound is louder and crisper. So if you are in a hall with few other people, this will give you a good sound quality. So, yes in the past few hours that I spent on the new iPad Mini 4, I felt this was a much-needed upgrade over the ageing iPad Mini first generation which even Apple has probably discontinued. The older model lagged with the new version of iOS, games like FIFA weren’t supported and so on hence this was required. Further I did search online whether upgrading from iPad Mini to iPad Mini 4 was necessary, but the results always compared it with iPad Mini 2 or 3. So in the few days I’ll come up with why to upgrade your iPad Mini !